With the rise of social media, a company tells many more stories than we traditionally recognize. 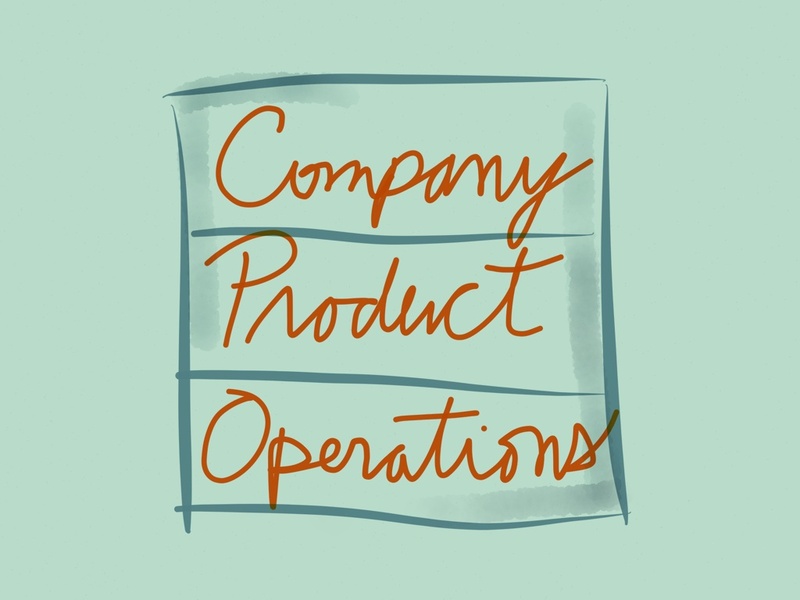 The Company Story is the official one, and the Product Story has now grown larger with social media, but have companies considered the story they are telling through their operations, the one that actually shows who they are? That’s the story that their stakeholders care about. In the old days, a Company Story was told through its spokespeople and its PR/AR (press and analyst relations) team. The PR team is traditionally given the role of corporate storyteller. It crafts the overall narrative of the company, describing the benefits of its products, and positioning the company’s place in the overall marketplace. It’s a big picture view that doesn’t like to get bogged down in the details. Terrible PR folks tell this story terribly, with messages that normal people roll their eyes at and discount immediately. The good ones have so skillfully created the story of their company in your mind that you’re not even aware of it. But now there are changes in the stories that are told about companies. The one we talk about often is the the Product Story. Learning about a product or even trying it out is easier than ever, and sharing your experience with your peers is welcome. This has been driven by the web, social media, open source, streaming video, and other manifestations of the cloud like SaaS. The Product Story is co-created by the community together with the vendor as experiences with the product are shared. PR and AR are involved in this second story, especially as they seed product journalism and analyst reports. But increasingly, the story that is told is the one that we create together as we share and discuss the Product Story, both the parts told in the traditional media as well the chapters that are our own contributions. Marketing programs — events, promotions, webinars, and other campaigns — usually build off these first two narratives. But there’s a third story that’s just beginning to be recognized. With social media, everything a company does throws off an exhaust trail online that can be seen by your customers, partners, and prospects. This is the Operational Story. Often when we talk social media we consider customer service alongside marketing, but we often forget that now every part of the company tells a story, even the parts that aren’t traditionally thought of as marketing: customer and technical support, partner programs, education and certification programs, professional services, legal activity, changes in policy and programs. and even how employees of the company go about their daily jobs in social spaces. This Operational Story is created by all programs and employees of a company as they perform their daily jobs and interact with their ecosystem. This story isn’t carried out by the marketing or PR departments. It’s often not even considered as marketing. It’s organic and fragmented and unconscious. It’s marketing by doing. Showing, not telling. But this is true one-to-many communication. Customers, partners, and prospects can, and do, read the announcements, the opinions, and the reactions. This is public communication that is usually invisible to the traditional marketers of the company. Let’s say a partner program changes a policy or a product SKU is changed. As long as it doesn’t get written up in the press, does the CMO and PR team know or even care? However, there is external communication involved: blog posts, email blasts, newsletters, Twitter updates. There is reaction from the employees of the companies affected as they blog and tweet about it. There is discussion and conversation and feedback, all happening out in the open with people are watching. The interesting thing about this kind of communication is that it’s actually the story that is truly interesting to the company’s stakeholders, far more so than any grand vision of the company’s strategy. The Operational Story is interesting to your customers and prospects because it directly affects them in a way that standard company marketing does not. Customers ask: Is this change going to affect my job for better or worse? Should I be looking at other vendors? Do I need to tell my boss? Prospects ask: Is this company fair? Is it greedy? Is it operationally screwed up? Am I going to regret purchasing from them? All these questions matter a lot more to them than reading a press release that says that the company is the leading provider of widget solutions that enable businesses to innovate. Marketing folks these days talk a lot about how in a world of social media, all companies are publishers. PR departments usually think of this in terms of their Company Stories, and have created online publications that reflect this. These publications do a great job of telling the Company Story, and others tell a good Product Story. but there is an opportunity to create the publication that tells the Operational Story, the Newspaper of the Ecosystem. Companies tell this story in a lot of ways through channels like blogs and newsletters; and perhaps a centralized publication isn’t even the right way to think about it. But shouldn’t companies think of the Operational Story as part of their corporate narrative and the marketing message they present to the world? Shouldn’t they construct it consciously and ensure it is in harmony with the Company and Product Stories? After all, the Operational Story is the one that actually impacts the lives of their customers, prospects, and partners.